Our friendly and helpful staff is here to assist library patrons with any request. Please feel free to contact us with any questions you may have. We have several electronic resources and services you may choose from for home or library use. Our Card Catalog is available 24 hours a day. Anyone who lives within Polk County or one of our reciprocating counties can get a library card for free. To obtain a library card, we need photo ID and if the address on the ID is not correct, proof of Polk County residence. This can be a pay stub, piece of mail, bill, car registration, etc. If you have any questions about getting a card, please feel free to call us.  The Auburndale Public Library is a member of the Polk County Library Cooperative. Books are available for borrowing upon request from any of the several other Libraries through the Polk County Library Cooperative. We look forward to helping you enjoy your library experience.